We are highly acknowledged for offering optimum grade Forged Steel Gate Valve. Our Forged Steel Gate Valve has gate & seat-ring with mirror finished seating surface to assure leak tightness. Manufactured using latest technology, our Forged Steel Gate Valve fully meets strength requirements of API 602 / API5352. 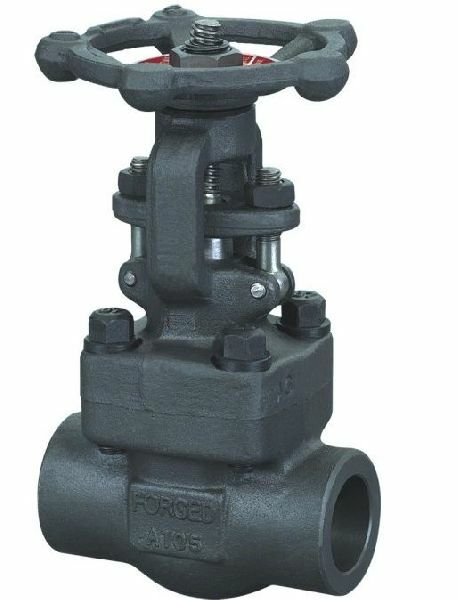 The wedge is accurately guided throughout its travel in our Forged Steel Gate Valve.